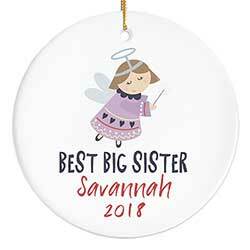 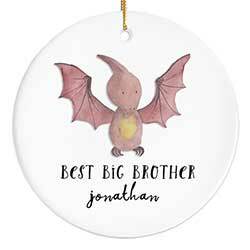 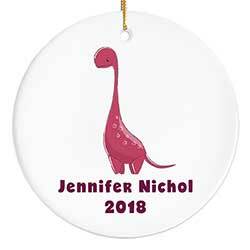 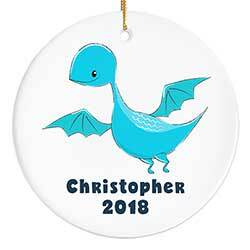 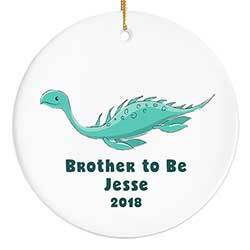 Family & Friend Ornaments - great gifts for the special people in your life, these ornaments are for moms, dad, grandma & grandpa, friend, aunts, uncles, and more! 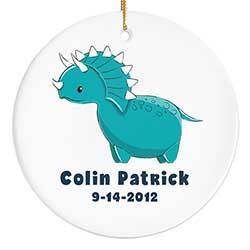 Most are custom painted to order and come with personalization! 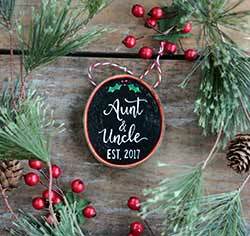 Double sided! 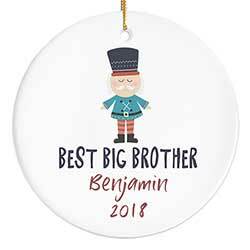 One side features a toy soldier image and personalization against a white background; Other side reads "Merry Christmas" in retro style lettering against an aqua background. 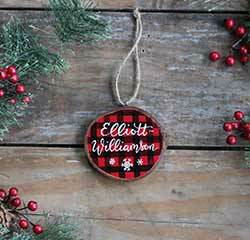 Double sided! 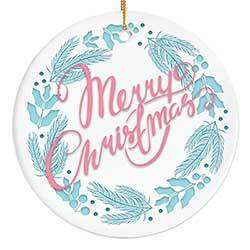 One side features flying angel image and personalization against a white background; Otherside reads "Merry Christmas" in retro style lettering against an aqua background. 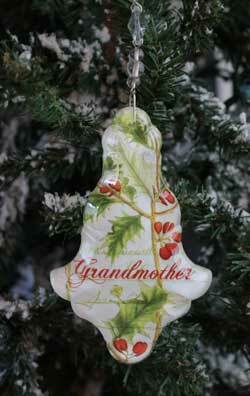 Grandma Fancy Plaque Ornament, by Primitives by Kathy. 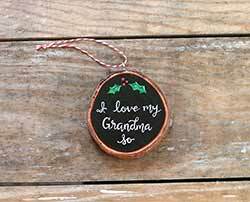 Wooden ornament featuring glittery lettering in a retro font. 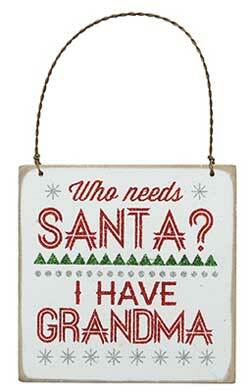 This one reads: Who needs Santa, I have grandma! 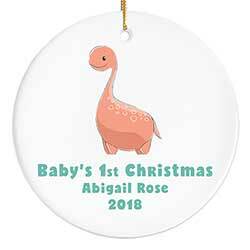 Measures 4 x 4 inches. 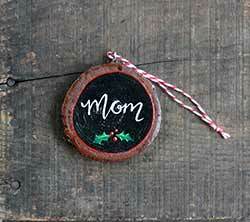 Made of wood, glitter, and wire, intentionally distressed for a vintage look. 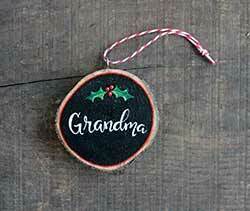 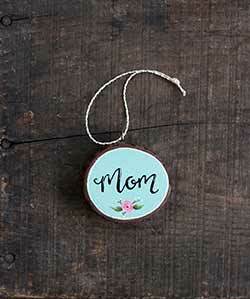 Start your tradition this holiday season with this custom hand painted ornament on a hand-cut wood slice. 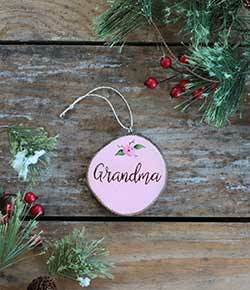 Features a hand painted rose with lots of shading and highlights, and hand lettering reading "Grandma." 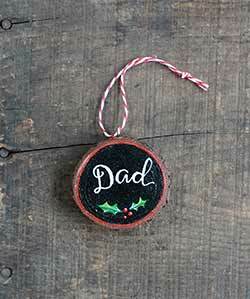 Start your tradition this holiday season with this custom hand painted ornament on a hand-cut wood slice. 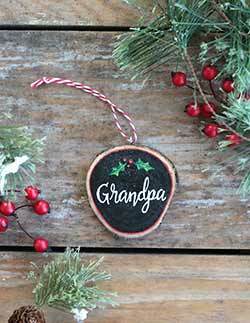 Features hand painted holly sprigs with lots of shading and highlights, and hand lettering reading "Grandpa." 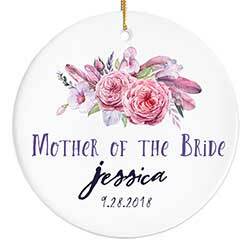 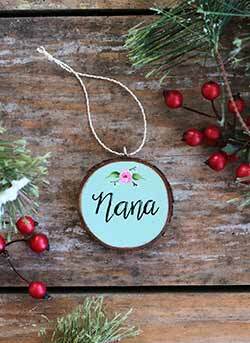 Give a personalized gift of rustic charm to that special relation with our hand painted wood slice ornament, custom lettered and personalized! 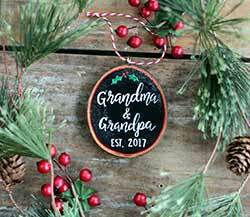 Features a wreath graphic and retro style text reading "Merry Christmas" on one size, and your choice of personalization on the 2nd side! 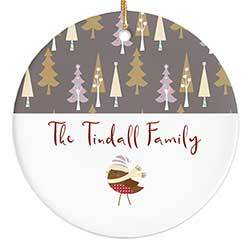 Features artwork by Poppy Moon Designs of a forest of whimsical woodland trees, and a little songbird. 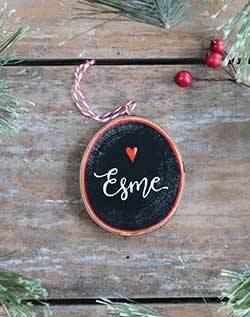 Customized message reads "The (name) Family," or you may replace with your own chosen text!